Making music is an expensive pursuit. From monitors to microphones, DAWs and plug-ins: before you know it, just getting your creative space in order has made a serious dent in your bank account. But it really doesn’t have to be this way. 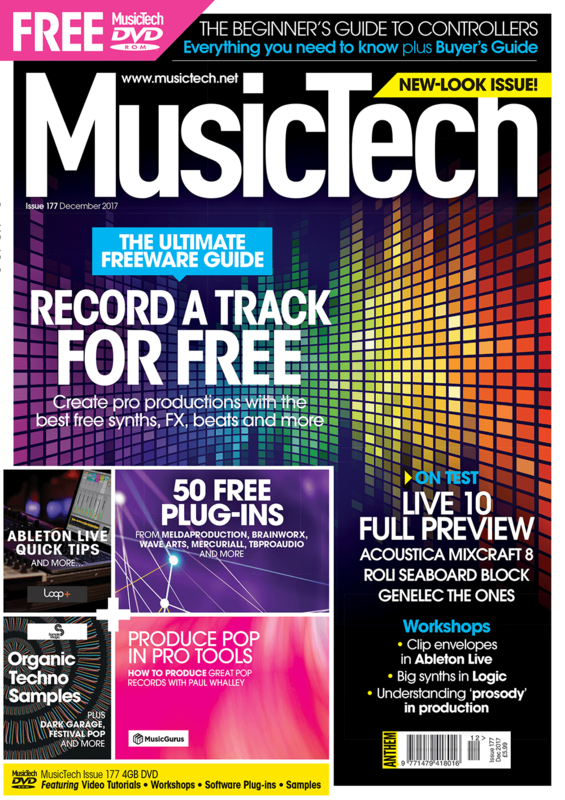 In Andy Jones’ in-depth cover feature this month, he dives head-first into this ocean of free software, highlighting the best of the best and detailing how to use it effectively to build a track – for free! Elsewhere this issue, we’ve got the first in a new A-Z series, detailing some of the oft-used, key terms that you’ll likely hear and need to understand in the music-making world. Alongside all this, we’ve got our usual range of reviews, tutorials, tips and a complete guide to the vast high-tech world of controllers. We’ve also, very excitingly, teamed up with the best studio in the world with this issue’s free Abbey Road calendar. We hope you enjoy the issue. Record a track for free – We show you where to find and how to use free software to create a pro-sounding production. A-Z of Music-Making – We demystify some of the technical jargon in the world of music production. Andy Bradfield – We speak to pop and film-soundtrack producer Andy Bradfield about the evolution of his career and studio work. Thomas Dolby – Producer, solo artist, session musician to the stars and software mogul. Tutorials – Contemporary Production Part 3: Prosody in Technology, Big Synths in Logic Pro and Envelopes and Automation in Ableton Live. DVD – 4GB including 50 free plug-ins, video tutorials, workshops and samples. 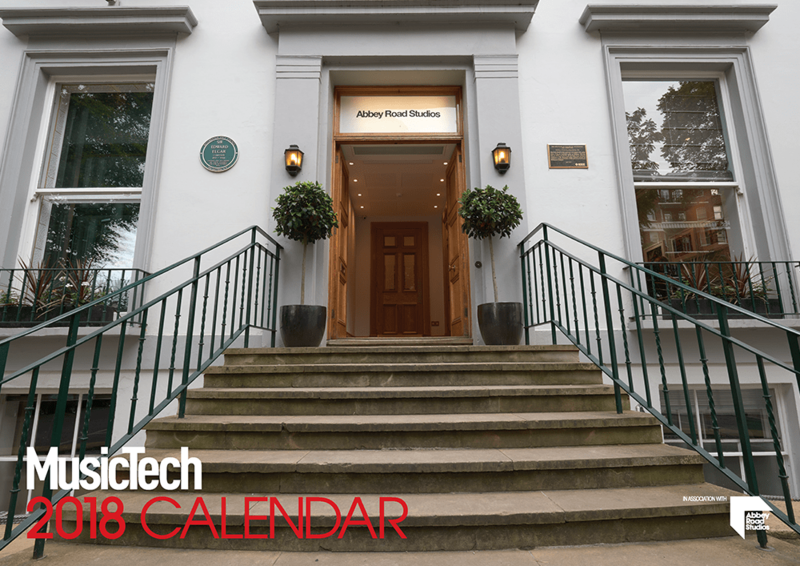 Abbey Road 2018 Calendar – Adorn your wall with a year of photos from arguably the most famous, if not greatest, studio in the world.